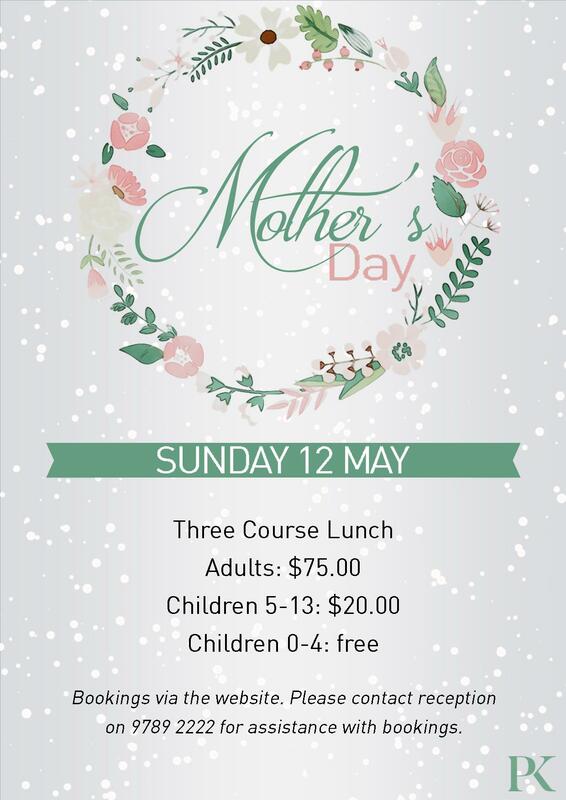 Treat your mum this Mother’s Day to a gourmet buffet lunch at the Club with the family. Each Mother will receive a special gift. Bookings are now open and be can made by completing the form below. Please contact reception on 9789 2222 for assistance with booking. Please indicate below the total number of children attending. Aged 5-13. Please indicate below the total number of children attending. Aged 0-4. Please indicate below the total number of mothers attending. Please advise any requirements you may have, including any special dietary requirements.